The 91st Academy Awards are just two months away and people are already shortlisting the movies in their minds. Why just keep them stacked, let us help you out with the list in total. 2018 was an incredible year with some of the most astonishing releases which no one could have thought of. This year in cinema was inspiring, marvelous and equally mind-boggling. People of all cultures, nationalities and different associations with films which touched multiple lives. And let us not forget how the visual effects made it possible. The age of technology has made VFX such a spinal cord of the cinema life. We cannot possibly think of a better way for the implication of such incredible ideas and actually putting them in a definitive format. In this article, we have jotted down three films which we believe must get nominated for Oscars this year for their amazing visual effects. There are way too many to add but as of now let’s stick to these three only. Rami Malek starring Bohemian Rhapsody was the tale of the decade. Based on the true life of Queen Singer Freddie Mercury; this movie was an epic story. People cried and laughed and reminisced their favorite Queen moments throughout the movie. But what we did miss was the awesome work of VFX. Let’s not forget that this actually inspired a lot of people to pursue VFX course Kolkata. The film was largely showing mid-90s and the backdrop and stadiums shown in those scenes were completely done with the help of VFX. 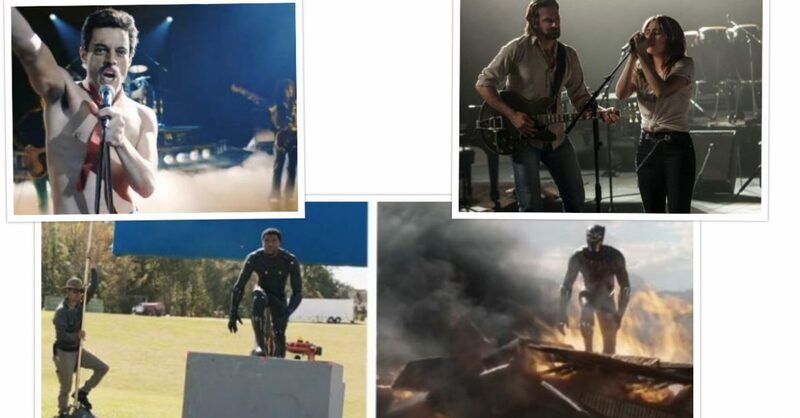 Even the most iconic scene in the movie, the Wembley Stadium performance was shot just in front of an empty studio with lots of green screens. All the rest of the work was a work of post-production and editing. We believe this one must go at least in the nominations for best visual effects as it is definitely going for best actor and picture. 2018 was not short of superhero films and we do not mean to forget any either. Even the top VFX institute in Kolkata used this film to teach the students some basic visual effects tricks. Despite all this, we need to understand that the depth of culture and technology which was infused in this project was beyond explanation. Black Panther was one of the best Marvel studios creations of all times. No one can deny that it raised the bar for all superhero action projects which might be created next. The visual effects of Black panther touched hearts to another level. Right from making Wakanda the way it looked and also giving it the African touch. More than that the technological and advancing scenes which were shown had no lesser importance. We sincerely hope Black Panther gets recognized in this category too. Next in our wish list is A Star is Born. 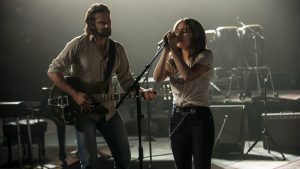 Starring Bradley Cooper and Lady Gaga, A Star is Born is a marvelous musical drama romantic film. It is not like any of the generic love stories which makes it way more special than anything. People loved the mixture of music and acting. Turns out finally the Bollywood formula is getting appreciated in Hollywood. La la land was the starter. This one is one of the most anticipated Academy award listed films. A lot of people are rooting for it to grab all the major awards of the night. But all we can do is watch the movie again and again and keep on appreciating the incredible work which has been done in it. Let’s keep our fingers crossed! Well, these were our top picks; let’s see what have you picked out in your list.